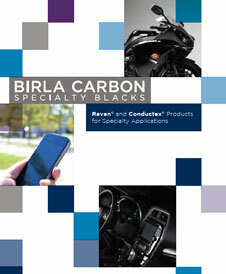 Raven® 5000 Ultra® II (Surface oxidized, “Treated” product) by Birla Carbon is carbon black for use in automotive topcoat, architectural coatings and piano black applications. 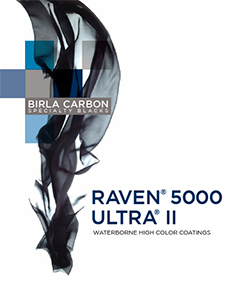 Coatings produced using Raven® 5000 Ultra® II are high quality with an extremely jet blue undertone. Provides greater uniformity, increased compatibility, improved dispersion, better processing, longer screen life, enhanced color development, and reduced scrap.